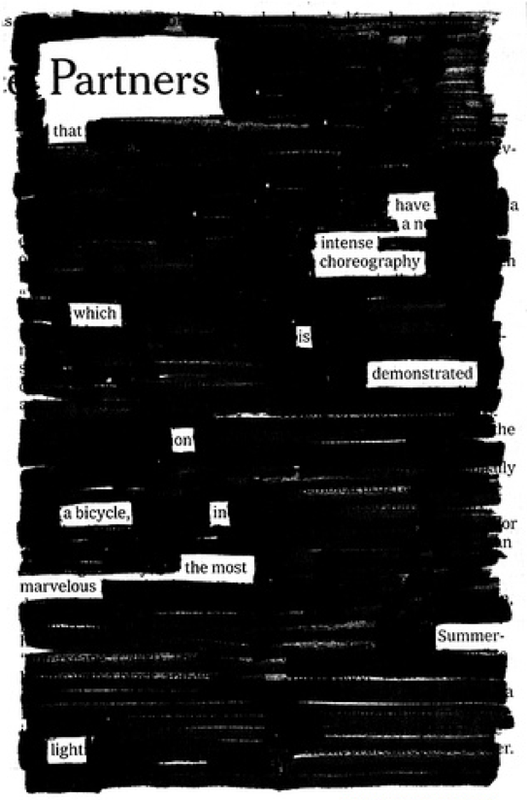 Austin Kleon is a poet. Instead of starting with a blank page, poet Austin Kleon grabs a newspaper and a permanent marker and eliminates the words he doesn’t need. Watch his site www.austinkleon.com and permanently new work on his blog. There's also a revealing review of his book [and more] on YouTube.